For a limited time you can get a great deal on board games at Amazon.com. 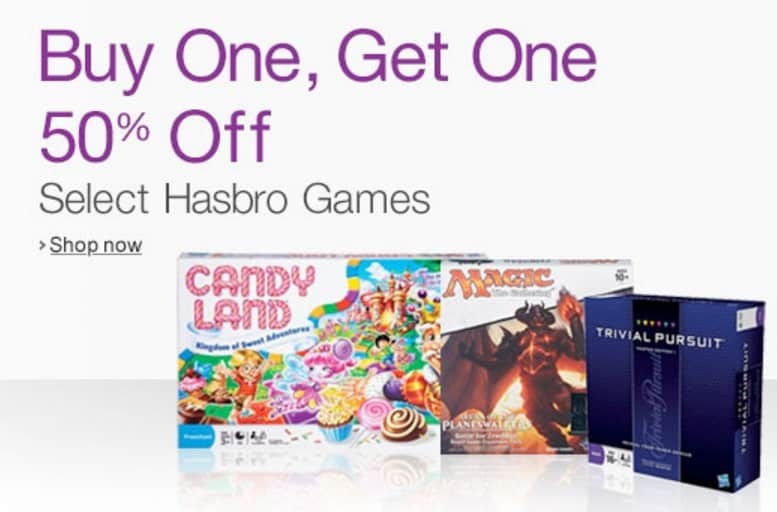 You can Buy a select Hasbro game and Get One 50% off. This is on top of the sale prices they are currently listed at on Amazon. There is a wide variety of games included in this sale. You can find something for just about anyoneon your shopping list.